MUSCLE FORCE is the top selling spray on the market. 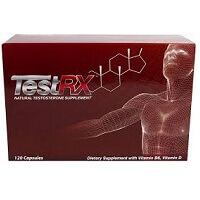 Used by Athletes, Tri-Athletes and Runners. Body Builders also see greater muscle gains and recovery times allowing for more intense workouts. Recover from injuries much faster as the growth factors work to get you back in the game! 1. New improved proprietary formula is designed to increase strength, lean muscle and endurance for athletes. It is also very beneficial to those training (both strength and endurance) by improving recovery times. 2. It has been shown to be very helpful in improving injury recovery times, specifically muscle and ligament related injuries. It is one of the best supplements for muscle gains and recovery. 3. Muscle Force contains 200mg of a proprietary growth blend. Now, five times more concentrated at 43 xs in an all natural preservative which increases bioavailability! All raw materials are U.S. sourced & manufactured. 4. Muscle Force is manufactured by Herbal Nutrition under strict GMP (Good Manufacturing Practices). If for any reason you are not satisfied with your purchase we offer a full 90-day refund! 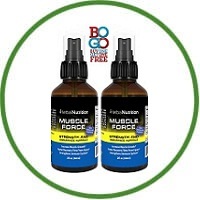 This Muscle Force spray will help you improve the quality of lives, by providing nutritional supplements that will benefit their health and athletic performance.